Built to safely move loose material in hazardous areas, this XTV comes with a steel power dump box rated for 1,000 lbs. and a ROPS with a roof, windshield, and rear mesh screen. As equipped, the XT-X has a payload capacity of 1,055 lbs. and can tow up to 2,000 lbs. Dual mode headlights and floodlights provide excellent visibility, while a 30 HP Kohler Aegis V-twin and an Admiral transmission give this vehicle the power and control to handle any surface. The 4,500 lb. 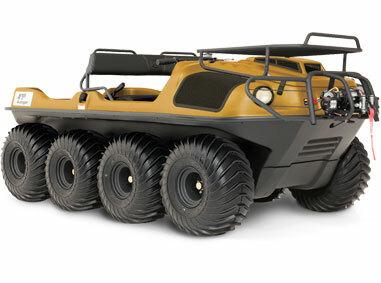 Warn winch can attach to the XTV’s front or rear and operated from the cab to rescue equipment.